Russian aluminum company Rusal, partly owned by Russian oligarch and Putin crony Oleg Deripaska (who’s currently under sanctions by the U.S. government), is putting $200 million into a Kentucky aluminum mill plant to be built by Braidy Industries, a company that’s owned by Craig Bouchard, a buddy of Gov. Matt Bevin (R-KY). Rusal will own 40 percent of the aluminum plant. Rusal is the same Russian company Mitch McConnell voted earlier this year to lift U.S. sanctions on. And Deripaska is the same Russian oligarch still under U.S. sanctions and the same Russian oligarch who had significant business ties to former Trump campaign chairman and convicted felon Paul Manafort. The great Republican sellout to Russia is still ongoing folks. Their corrupt embrace of Trumpism is a virus, and it is now spreading to the states with the help of Republican Mitch McConnell. Kentucky taxpayers have already subsidized Braidy Industries aluminum plant thanks to $15 million they received from Governor Bevin in a desperate attempt to look like a job creator in an election year. Now, Mitch McConnell has greased the wheels by lifting sanctions on the Russian company that today announced a $200 million infusion into Braidy. When Trump announced earlier this year he was lifting sanctions on Deripaska, there was a bipartisan effort in the Senate to stop it. Republicans and Democrats joined together to say an attack on this nation must be punished. Mitch McConnell did not join that effort. Now we know why. McConnell is forcing the American people into a deal with the same country that attacked our democracy less than three years ago, and he apparently doesn’t care if he puts the people of his own state in bed with the oligarchs who think they can interfere in our elections and get away with it. What does Matt Bevin have to say about Rusal? Yes, Gov. Bevin, this is a seed, but it has been planted by the very people who want to destroy our democracy. That you and Mitch would help them, speaks volumes about the state of the Republican Party today. Whether it’s winning elections or bailing them out of bad deals, it seems there’s nothing Republicans won’t ask the Russians to help them do. 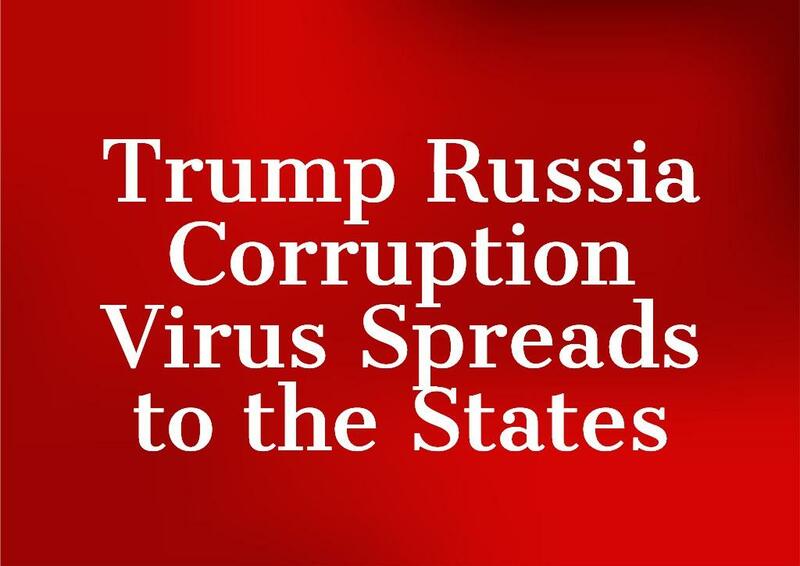 Trump’s corruption is a virus, and we can see that it is clearly spreading from Washington to the states. Today it’s Kentucky. Who knows which state it will be tomorrow?